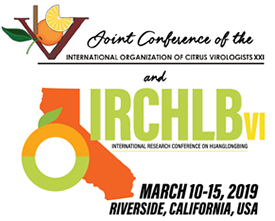 The joint IOCV and IRCHLB Organizing Committee is pleased to announce the Joint International Conference of Citrus Virologists XXI and the International Conference on Huanglongbing VI will be held March 10-15, 2019 at the Riverside Convention Center in Riverside, California. 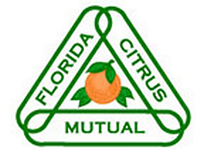 The Joint Conference is being produced by the California Citrus Research Board (CRB) with the support of California’s citrus industry partners, under the advice and guidance of a joint conference organizing committee. The California citrus industry is excited to welcome U.S. and international researchers, regulators and citrus industry members from around the world to the Golden State. Our conference is being held in the historical citrus region of Southern California, in the City of Riverside. We are honored to be welcomed by the Cahuilla (kaweeyah) people and their bird singers at the opening of our conference. We look forward to welcoming you to Riverside, California for the Joint IOCV XXI and IRCHLB VI! During your visit in March 2019 you should be able to experience some classic California weather with temperatures of 70°F to 74°F, with lows rarely falling below 59°F.